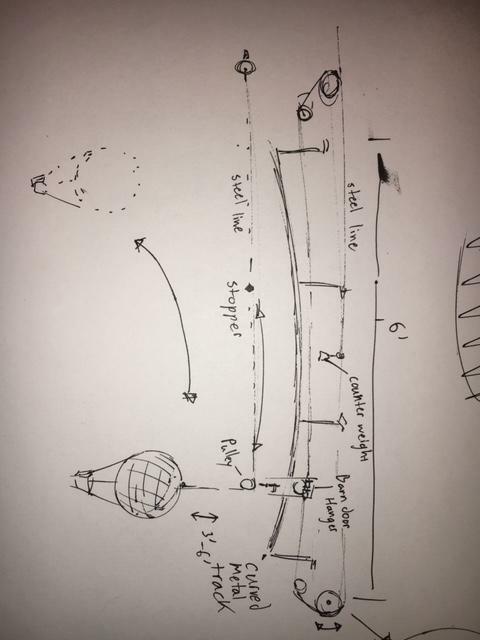 I am trying to rig a contraption to pull a model hot air balloon back and forth along a curved horizontal track. Its motion is both horizontal (6’) and vertical. I have built the track and rigged the balloon, but the original motor set up is not quite strong enough and a little too clunky for my setting. I would like to re-rig the motor using the materials that I’ve already purchased. I have seen others ask for clarification with similar rhythmic designs like this, but haven’t been able to find clear (chicken coop door type) solution. I am more than happy to build what I need, but my lack of expertise in electronics has made me burn myself out in trying to figure out how to trigger the rhythmic directional change. Should I use a cyclic timer, a DPDT relay, something else? I’m just not sure. I would really appreciate the guidance. In wiring the motor to do this action. 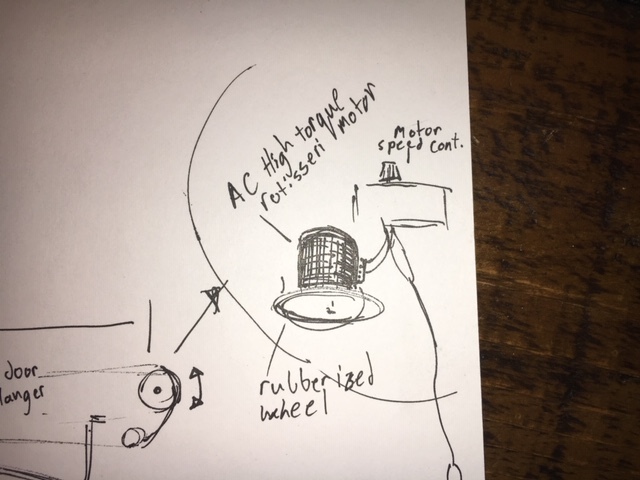 Motor set up: (It is , of course, missing the whatever switch/relay/whatever element I need to make it turn back and forth in a regular timed fashion) I am trying to rig a contraption to pull a model hot air balloon back and forth along a curved horizontal track. Its motion is both horizontal (6’) and vertical. I have built the track and rigged the balloon, but the original motor set up is not quite strong enough and a little too clunky for my setting. I would like to re-rig the motor using the materials that I’ve already purchased. I want to know how to do this using this motor. Right now, I have it hooked up to the motor speed controller below. Browse other questions tagged reverse-polarity motion reverse movement or ask your own question. Can a DC motor with obstructed movement be damaged? Optical linear encoder for motion tracking?